A Marine special operator received the nation’s third-highest valor award after his heroism in Iraq during the bloody fight to retake Mosul from the Islamic State saved his comrades’ lives. 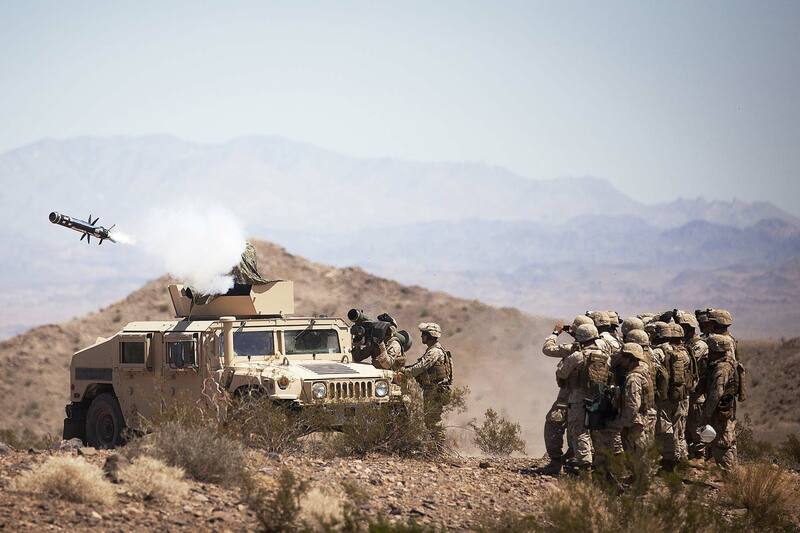 A staff sergeant with 2nd Marine Raider Battalion received the Silver Star for repeatedly braving enemy fire while surrounded by dozens of terrorists to take out a vehicle-borne explosive device that was careening toward him, according to his award citation. The previously undisclosed award was first reported by Marine Corps Times. The Raider, whose name Military.com agreed to withhold since he’s still carrying out missions with Marine Corps Special Operations Command, is the first Marine to receive a Silver Star in the fight against ISIS. Defense Department data shows a sailor, an airman and three soldiers have received the combat-valor award for their actions during Operation Inherent Resolve, the Pentagon’s mission to eliminate the Islamic State terror group. The Marine was serving as an assistant element leader in Mosul on Oct. 20, 2016, when he and his team positioned themselves between two enemy-held villages. The Marines had taken fire throughout the day, and that evening launched a counterattack on “25 heavily armed fighters and an armored vehicle-borne improvised explosive device,” according to the citation. The staff sergeant was able to take down some of the terrorists with his sniper rifle, but the vehicle was still headed toward them. Still facing enemy fire, he climbed onto the top of a nearby vehicle to retrieve a Javelin portable anti-tank missile. He fired, but the missile failed to launch. Still under fire, he got his hands on a second Javelin and launched another missile that took out the vehicle. “His decisive actions under fire [repelled] the enemy and saved the lives of friendly forces,” the award citation states. The battle for Mosul left thousands of civilians and coalition fighters dead. ISIS had taken hold of the city in 2014, and it took three years to recover it from the terror group’s grip. U.S. troops, including Marines, are still fighting ISIS across sections of Iraq and Syria as part of Operation Inherent Resolve. Most are on advise-and-assist missions, but the Raider’s Silver Star citation shows that some of those troops find themselves on the front lines of that fight. At least 47 U.S. troops have been wounded in action during Operation Inherent Resolve, Marine Corps Times reported.